Brașov is the 7th largest city in Romania by population, with 253200 people registered at the 2011 census. Located in the Brașov Depression, at 625 m high altitude, at the feet of Tâmpa Hill, Brașov can be reached after 184 km North East from Bucharest. In 2010, the inhabitants of Brașov celebrated 775 years since the first official attestation of Brașov city. The document proof is included in the Catalogus Ninivensis document, made between 1234-1241. This catalogue of monasteries form Transylvania and Hungary, lists all the establishment visited by the catholic priest Fredericus and in it Brașov is mentioned as “Corona”. Brașov was founded in 1211 by the Teutonic Knights on an ancient Dacian area and populated by Saxons, being one of the seven walled citadels (Siebenürgen) along with: Bistrița, Cluj Napoca, Mediaș, Sebeș, Sibiu, Sighișoara. In time, the Saxon merchants who were sent here to populate several key cities within Transylvania, gained important wealth and political influence in the region, due mostly to the strategic position, at the intersection of the trade routes that linked the Ottoman Empire and western Europe. Hence the etymology of the German city name, Kronstadt, as well as its Latin counterpart, Corona (Crown City) and the city’s coat of arms (a crown with the bottom part of a tree trunk and its roots, above which stands a representation of a fortification). 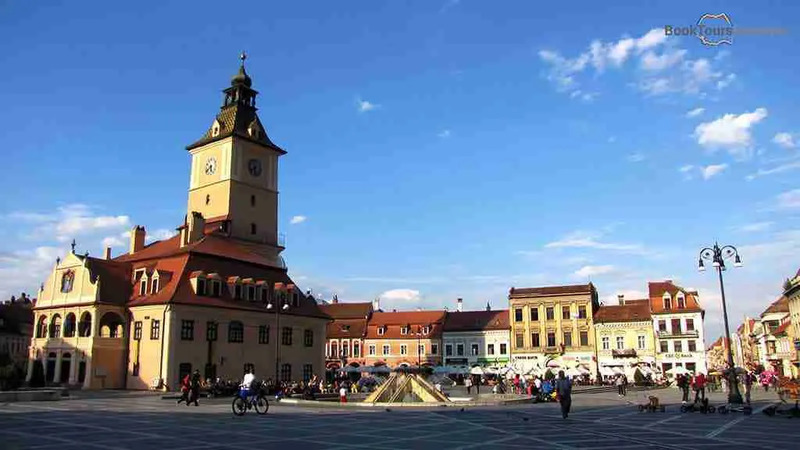 There are also many other spots and sightseeings within Brașov county: Sinaia, Predeal, Poiana Brașov, Bran, Moeciu, Râşnov, Făgăraş, Prejmer, Zărneşti, Sâmbăta (at the foot of the Făgăraş mountains). Any tourist guide who will show you the city can illustrate that a vast palette of architectural types has been identified here: Preromantic at Brașov Fortress, romantic at St. Bartholomew’s Church, Gothic at Black Church, Classic at Catherine’s Gate, Renaissance at the Town Hall, Baroque at the houses built in the eighteenth century, Viennese Rococo, Neo-Renaissance, Neo-Baroque at palaces built in the nineteenth century, Brâncovenesc Art Nouveau at County Library, and the royal houses from Schei district and last, the modern style seen at post-1980 constructions. The building which today houses the Brașov History Museum, served in the past as a gathering place for centurions (town councilors). This construction, build in the 13th century can be recognized by its watchtower called Trumpeter’s Tower. In the same square as the Old Town Hall stands other famous buildings such as: The Black Church, the Merchant’s House built in a Renaissance style, The Orthodox Cathedral and the Mureșeanu memorial museum. The Black Church, or the Marienkirche by its German name, derives its name from the Great Fire of 1689, during which the damages withstood the restoration of almost 100 years. It was constructed between 1385 and 1477 on the grounds of a previous church destroyed by Mongols in 1242. Its construction was interrupted in 1421 by the damaging raids of Turks. At the exterior of the church can be seen only one of the two towers which were in the initial plan and also a very uncommon sculpture on the North buttress. It is a sculpture of a little boy, who seems on the brink of falling, a reminiscence of a fatal accident of a child who helped at the construction of this church. At the interior one can find the largest organs in the entire Eastern Europe, the largest bell, weighing seven tons and also a collection of Anatolian carpets from 119 donated German merchants between 17th and 18th century. Due to these carpets, the windows of the church have been recently changed with special UV-filtering glass. This medieval church built in 1392 in wood and later in 1495 rebuilt in stone, it is enclosed by walls with large wooden gates and displays a central thin tower and 4 other small towers placed in corners. The church style is eclectic, combining Byzantine, Baroque and Gothic elements. Here can be found a small old cemetery where several important figures of Romania are buried, such as Nicolae Titulescu – finance minister, foreign minister and president of the League of Nations. Known also as Markplatz among the previous local Saxons, due to the red-roofed houses which belonged in the past to merchants, is circled by impressive stone walls and 7 bastions. There is also a legend about the Pied Piper of Hamelin which concerns this square and speaks about the presumably withdrawal or death of a large number of children from Hamelin town in medieval Germany. Saint Nicholas Church also hold on it grounds one of the first learning centers of the Romanian people, the source of several of the first printed books in Romania. Among the exhibits of the museum, lies more than 4 thousand rare books or documents, printed or copied by hand, and the oldest Bible, printed on goat skin. This street was used at first as an access point for firefighters and us considered the slenderest street on European Continent, with its 1.3 m wide. Beginning with the Saxons settlement in the early 12th century, the raids of Mongols, Turks and other tribes especially over Bartholoma and Corona, let to the construction of the town fortifications. Most of the fortifications were erected between 15th and 17th century, including the inner walls, gates and towers of which several survived till today. The defensive wall was once 12 m high, 2 m thick and 2 miles long, but most of the fortification was demolished during 19th century due to the expansion of the inhabitable area of the city. Most work was done between 1400 and 1650, when outer and inner walls were erected, together with massive defense towers and gates. Part of the defensive wall, once 40 feet high, seven feet thick and two miles long, can still be seen today, though most was taken down in the 19th century to make room for the city’s expansion. This bastion was built in 1521 and has 4 levels of which the first is currently designated as a resting area for visitors and the rest houses exhibits with medieval objects. The pass between levels is made through interior staircase. This semicircular tower is placed near the Graft Bastion, on a hill and can be reached after climbing approximately 200 stairs. The construction of this tower was finished in 1494 and presents a wooden staircase that goes up four levels. Unlike White Tower, The Black Tower has a rectangular shape, and is placed on Starja Hill. It was built in the same year, 1494 and has 4 levels connected by a narrow wooden ladder. The name of the tower comes from a large fire from 1559 created by lightning. This construction which was attested in the historic chronicles for the first time in 1529, houses today the Brașov Archives with more than 100,000 old documents, among which 80 letters from 14th – 16th century. Here is also the oldest letter written in Romanian language from 1521 by a merchant from Câmpulung named Neacșu. This gate is the only one who survived in its original form until present day. It was built in 1559 by the Tailors’ Guild and it was a small part of a larger construction which was demolished. 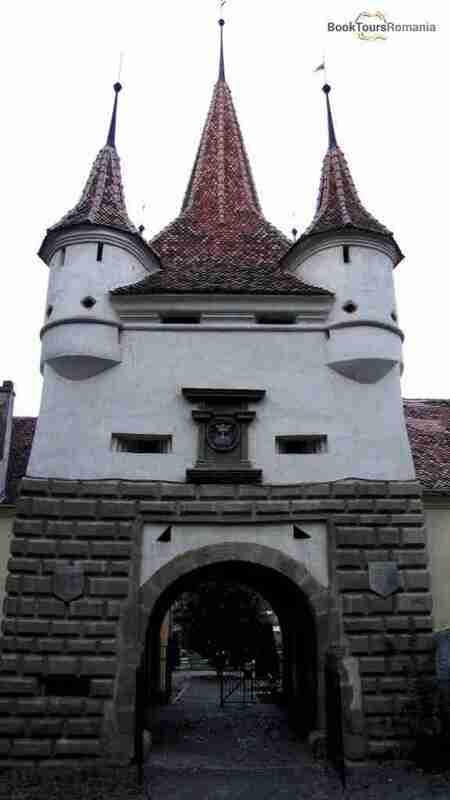 The gate was erected in 1827 under the order of Emperor Franz I replacing an older structure damaged after a fire. This gate was also known as Porta Valacce (Wallach’s Gate), as this was the only mean of entrance to the Schei district allowed to Romanians living there. The fortress which now houses a restaurant, served in the past as a strategic point, part of a fortification and giving a look over the northern plains. 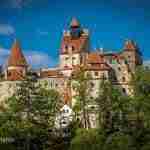 It was first built in wood in 1524 and later replaced by a stone construction. The citadel was abandoned in 17th century. This bastion is the best preserved one from the seven original watchtowers from the outer fortification system. This construction, built in two phases, one during 1421-1436 and the other in 1570-1573, houses today a museum with a permanent exhibition, the scale model of the city and Schei. 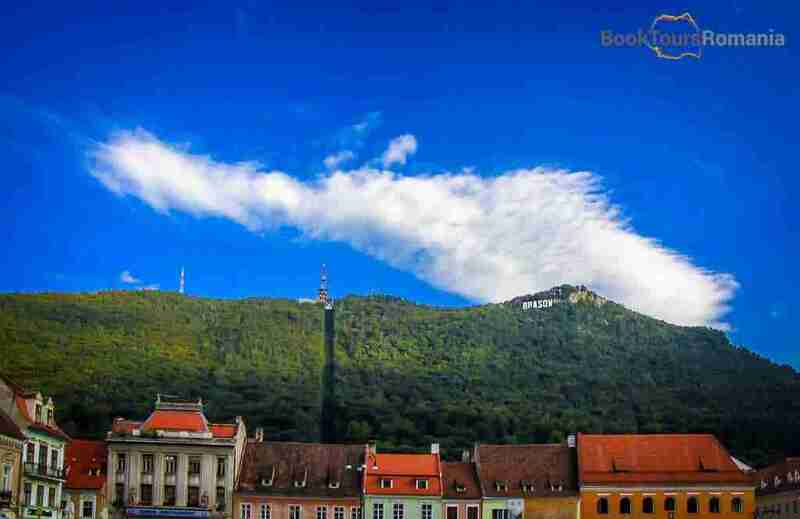 At the foot of Mount Tâmpa lies an alley called Tiberiu Brediceanu, often visited by people who like taking a walk and which takes you from one citadel to another. 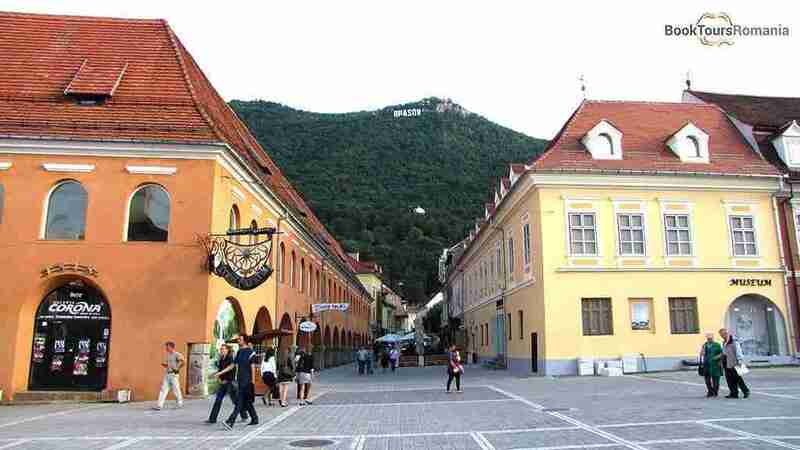 The mountain is also famous for the attack of Vlad Țepeș over Brașov, between 1458-1460, in which the original citadel, built right on the top of the mountain was destroyed.